It truly has been a wonderful experience and our campers this year were full of enthusiasm and excitement. 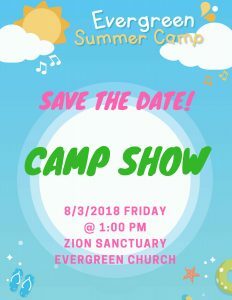 Our camp finale show will be held this Friday, August 3 at 1 pm. We would like to invite all parents, friends, and relatives to come and watch our awesome campers display their magic on stage. Our camp show will start PROMPTLY at 1:00. Please plan accordingly.